The sweet potato (Ipomoea batatas), a member of the morning glory family, is rich in vitamins A, C, and E, folic acid, iron, copper, calcium, fiber, and beta-carotene. It is also low in fat. The sweet potato ranks seventh among the world’s top crops, trailing wheat, rice, corn, potato, yam, and cassava. Leading sweet-potato-producing states include North Carolina, Louisiana, Mississippi, California, Alabama, Georgia, and New Jersey. White-fleshed sweet potatoes are common in Central and South America and have begun to appear in those parts of the United States where immigrants from these regions have congregated. Orange-fleshed sweet potatoes are more commonly cultivated and preferred here than in other countries. Annual sweet potato consumption per person in the United States is usually only five pounds, primarily in pies or other dessert dishes, though sweet potatoes can now be found in such products as yogurt, beverages, noodles, chips, fries, pancake mixes, and other flours. Sweet potatoes have at least 124 medicinal and industrial uses. Researchers have shown that sweet potatoes have antitumor, anti-HIV, anti–muscular dystrophy, antifungal, antibacterial, antihypertensive, and antidiabetic effects. In part, this is because sweet potatoes contain various bioactive components that are physiologically beneficial to human consumers. George Washington Carver produced more than 118 different products from the sweet potato at Tuskegee Institute. The sweet potato is one of the crops selected for NASA’s Advanced Life Support Program for potential long-duration lunar/Mars missions. Freshly harvested sweet potatoes are high in moisture and in the warm temperatures of the South can only be stored for about a week at room temperature. Processing (such as pan-frying, drying, freezing, canning, vacuum-drying, and freeze-drying) not only increases sweet potatoes’ shelf life but also increases their palatability. Sweet potato greens are also becoming increasingly popular. White-fleshed sweet potato roots are used as starch and gasohol and are made into pellets for animal rations. Orange-fleshed, high-moisture types of sweet potatoes, such as Beauregard, are erroneously called yams. However, true yams belong to the Discorea species, a tropical starchy tuberous root not commercially grown in the United States. 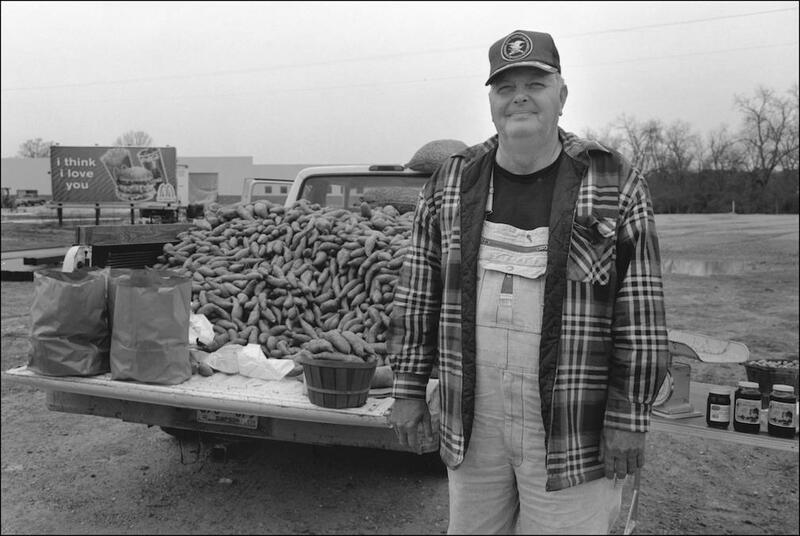 In Mississippi, the Calhoun County town of Vardaman has for decades claimed the title of Sweet Potato Capital of the World. Calhoun County farmers grow the majority of Mississippi’s sweet potatoes, followed by four other northern Mississippi counties—Chickasaw, Pontotoc, Yalobusha, and Panola. In 2012 the state’s sweet potato farmers planted about 22,500 acres and harvested 394 million pounds valued at approximately seventy-nine million dollars. Since the 1970s Vardaman has been the site of the Sweet Potato Festival, a harvest season event with a festival and banquet, Sweet Potato King and Queen pageant, and multiple contests for the best sweet potato dish, pie, and recipe.